You read all those articles about easy ways to save money — especially when you live in the city. You know that brewing and bringing your own coffee to work is item numero uno on a vast majority of those lists, but you also know that your Starbucks run makes you disproportionately happier than that to-go mug that always leaks in your bag. So what’s the best middle ground? Starbucks Happy Hour, which lets you save money without going cold turkey on your favorite little treat. But wait, why haven’t you heard more about the Starbucks Happy Hour, and how much will it save you, exactly? There are some ins and outs of the program you need to know, but Metro did the legwork for you, so all you have to do is skim, run to Starbucks and sip your way happy. 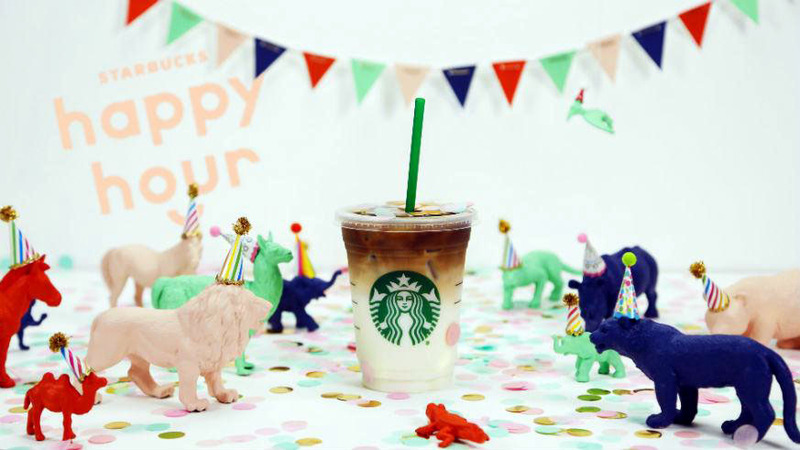 Wait, what time is Starbucks Happy Hour and what is it anyway? 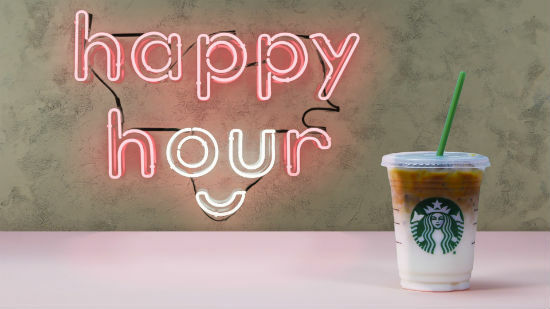 First things first: Starbucks Happy Hour is the afternoon pick-me-up you knew you needed — they’re just finally making it possible on the regular. Each week, the coffee bean behemoth is offering discounts on select drinks after 3 p.m. That’s right. Just when you hit that mid-afternoon slump, you can get 50% off your much-needed caffeine boost through the Starbucks Happy Hour. Even better, the deals last until the end of the day, unlike those pesky bar happy hours that cut off after a couple hours. But wait, when is the next Starbucks Happy Hour? You’ll need to be “invited” to find out. Luckily for you, it’s really easy to get in on this discounted drink action. How can I get in on it, and when is Starbucks Happy Hour? The coffee giant announced back in March 2018 that they were bringing back the Starbucks Happy Hour promotion, but you won’t find those big, colorful signs at your local spot like with the launches of new Starbucks drinks. Although anyone that comes into the store can take advantage of the Starbucks Happy Hour deals, there are two ways to find out all the info you need to know — both of which you can do on your phone. That’s because it's sticking around, with rotating deals each week. If you’re a Starbucks regular, the best way to cash in on the weekly dea is to download the Starbucks app and sign up as a Starbucks rewards member. The membership doesn’t cost you a dime and allows you to rack up points for each purchase that earn you free drinks, so there’s really no downside to downloading the app and getting involved. Once you sign up, you’ll get an invitation to Starbucks Happy Hour and the discount will automatically be added to your account. Just tell them at the cash register that you want to use your happy hour discount, or toggle a switch if you’re ordering through the mobile app. Your second option is to sign up on the Starbucks Happy Hour website. It’s a shockingly simple form and should take you about a minute through your phone, so you can probably do it standing in line. You’ll enter your name and email address, after which the happy hour code will pop up on your screen. Since they have your email address, you’ll get email notifications about the future dates of Starbucks Happy Hour. So when is Starbucks Happy Hour? Whenever your email or app tells you. So keep checking back in and think of it as a sweet little surprise — that comes with caffeine.